And a real happy smile can spread joy around everyone every day. It is very true that beauty needs no ornament; all it needs is a very beautiful smile…isn’t it? So, have you ever wondered what is the secret behind the perfectly enchanting smile that we all crave for? It is the proportionate thickness of the upper and lower lips. Lips, being a prominent part of our face helps in defining the beauty of a person. While doing makeup also, we don’t forget to outline them neatly and color them to give a plump and fuller appearance. But, makeup is like creating an illusionary effect, which can hardly achieve the wanted lusciousness of lips. A more natural looking and long-lasting solution is what young women seek nowadays. According to recent studies, in Australia, 58% of women believe that thinning of lips makes them look older and unattractive. Hence, now is the fad for slightly fuller lips, perfect for a fabulous smile. Marching to the tune of present demands of lip enhancement and lip augmentation, the aesthetic experts and cosmetic doctors have introduced diverse lip enhancement techniques. But, amongst all other alternatives, lip enhancement treatment done with the help of dermal fillers is considered to be the most efficient and safest (with a well understood risk profile). At Nitai Medical and Cosmetic Centre in Melbourne, after very closely following the case studies and feedback of our clients, we have assembled 6 reasons why lip enhancement with dermal fillers is the best way to look glamorous. 1> A natural plump look: Lip augmentation in our Melbourne clinic is done after an assessment of the lip proportion as well as after evaluating the estimated contrast of the augmented lips with the rest of facial structure. Lip fillers applied after such thorough scrutiny ensures that the lips look fuller and naturally alluring instead of the fake and puffy look. 2> No pain but huge gain: This process involves lip injections filled with dermal fillers, which is basically a painless, non-surgical procedure. It requires only one session of less than an hour and voila…here you get a magical smile without any discomfort. 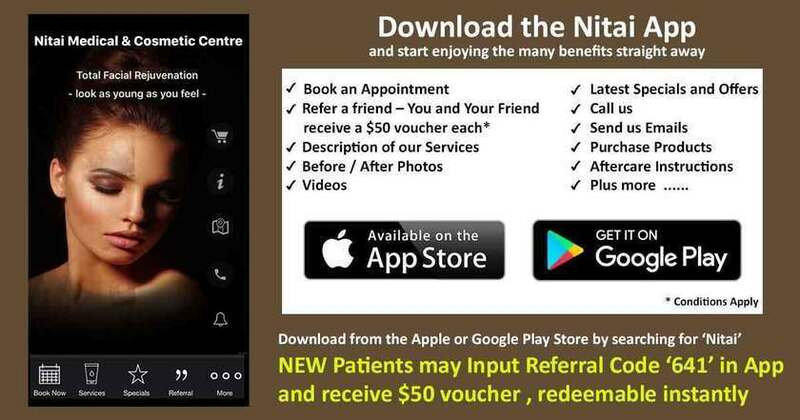 3> Rejoice…It’s Safe and sound (with a well understood risk profile): Lip enhancement treatment performed at Nitai Clinic is absolutely secured. Utmost hygiene is maintained here and the dermal fillers that are used have very low, almost negligible probability of developing any sort of infection or allergies. 4> So much better than makeup: Lip makeup is surely an easy fix for an evening, but it hardly lasts, and it does not give that genuine soft and luscious look that is very much admired. Lip enhancement with dermal fillers provides the highly desired succulent lips, incomparable to any other alternative. 5> A long-lasting solution: Once this non-surgical lip enhancement is done, it lasts for 9-12 months or 12-18 months (depending on type of dermal filler we use), which makes it so much more appealing. 6> Because you deserve nothing but the best: This aesthetic lip treatment with dermal fillers is very effective and easy solution to get the fuller lips. It is safe (with a well understood risk profile) and has a very high success rate. 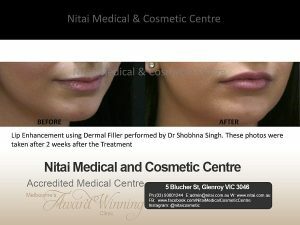 This cost-efficient technique at Nitai Clinic, has helped hundreds of women to look glamorous and it is now your turn to look your very best with a truly arresting smile. It is said that- If beauty is power, then smile is its sword. And only perfect lips can architect that mighty sword. So, forged your sword yet? Next Have You Tried this Innovative Double Chin Treatment?